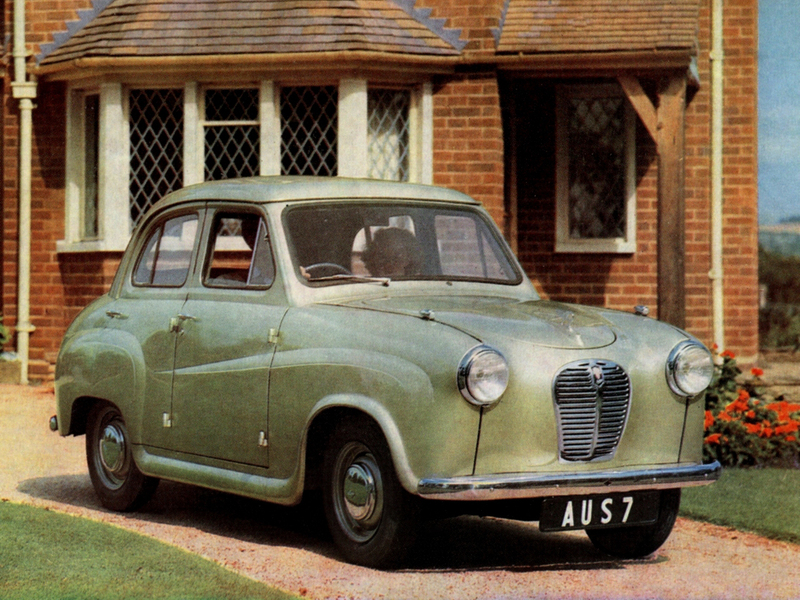 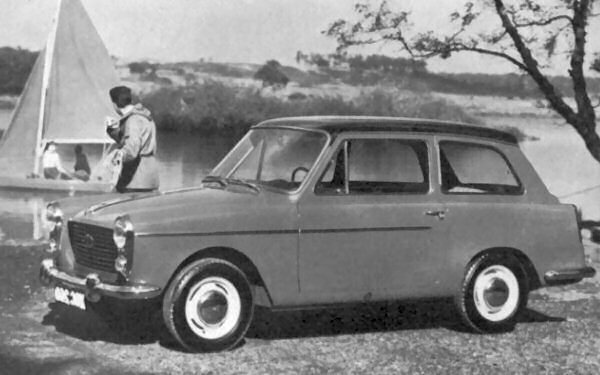 Austin’s answer to the Morris Minor was a quiet technical revolution for maker, who boasted that the A30 was its first ‘chassisless’ car. 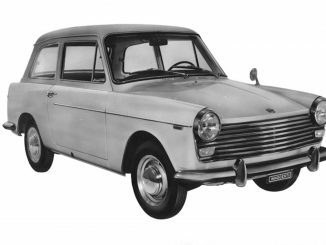 It was certainly lighter and more compact, but with a steering box and part-hydraulic, part-rod brakes, so it didn’t feel as advanced on the road. 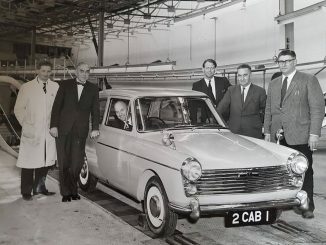 BMC – An Austin A40 is the first car to leave the newly completed CAB2 at Longbridge.